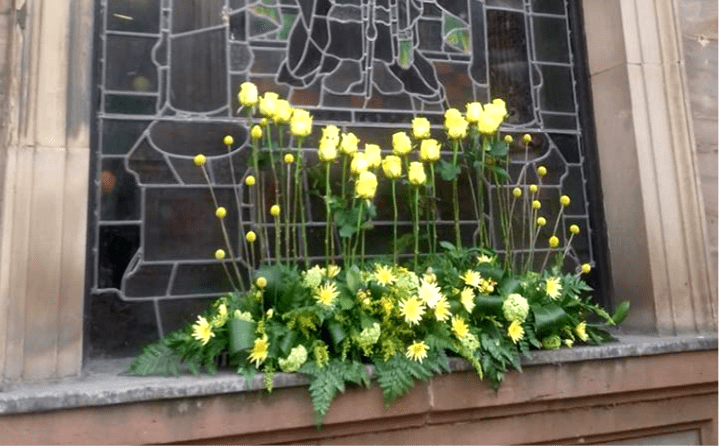 Anita, Joyce and Beth from St. Katharine’s Church were part of a wider team of flower arrangers from around the country who came together at St. Ann’s Church to create beautiful floral displays for the Spirit of Manchester Flower Festival. The arrangement below has 22 yellow roses to commemorate the 22 people who tragically lost their lives in the Manchester Arena attack this time last year. Anita described the day as an incredibly humbling experience and we are very proud of their beautiful and poignant contribution to the festival.